The pleasures of Oahu, Hawaii’s third largest island, are diverse and aplenty. While most visitors flock here for the natural beauty, beachy offerings (like surfing, fishing, and boating), original cuisine, and refreshingly low-key vibes, the spa scene is also world-class, and not to be missed. Here, I share the four best spas in Oahu, where the service and treatments are matched only by their breathtaking surroundings. Spanning five floors and 35,000 square feet, there’s little you can’t do at this recently-opened spa. Break a sweat, while finessing your serve at the five-court Jim Courier Tennis Centre. Ladies can restore their locks to a youthful, healthy state at the the salon by celeb stylist Billy Yamaguchi – he’s renown for applying the principles of feng shui to hair – while gentlemen can get equally pampered at the barbershop with the Ali’i (Royal) Shave and a cold, craft beer. And given the reputation of Four Seasons, the spa treatments are practically faultless. The Rose Quartz Healing Facial, for example, takes pampering to new heights by combining an aromatic crystal facial massage with a customized application of eco-luxe products by Sodashi. The spa facilities are top-notch, too, but it’s the Himalayan salt chambers that can’t be missed. 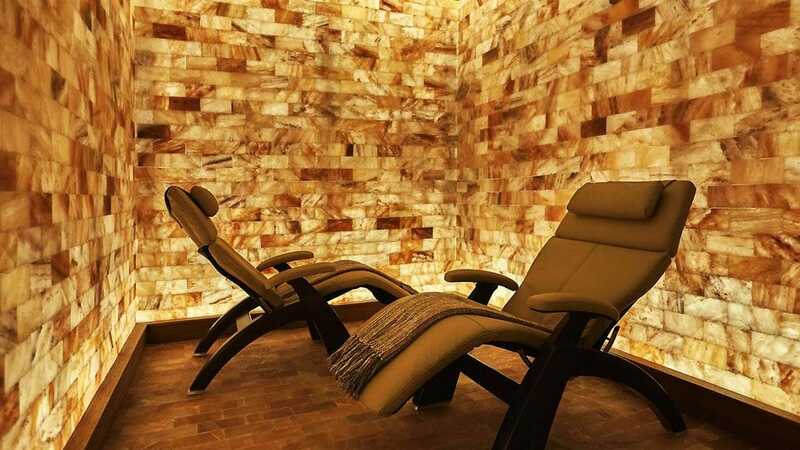 Reportedly, breathing in salt – the practice is called halotherapy – can alleviate a multitude of respiratory-related woes, from allergies to general congestion. In true Disney fashion, this luxurious spa in Ko Olina is terrific for kids of all ages. (There’s even a space expressly for teens called Painted Sky.) And when it comes to offering a truly seamless experience, from the moment you check in to the moment you depart, Laniwai delivers. After selecting a stone – each one is inscribed with inspirational words like “harmony” and “dream” – you walk by a waterfall wall and toss the stone into a small pool of water. After settling into a plush robe and relaxing a bit, your therapist takes you to your treatment. No matter what you select, though, you’ll feel deeply nurtured and well taken care of. Afterward, take advantage of the Kula Wai, the 5,000 square foot hydrotherapy garden – the only one on the island – kitted out with a custom salt scrub bar, six unique rain showers, mineral pools, and a reflexology path. And when you check out, you’ll be thoughtfully gifted with a stone inscribed with the same word you selected at the beginning of your spa journey.